Large collage maker – 250 FREE templates – Up to 100 photos! 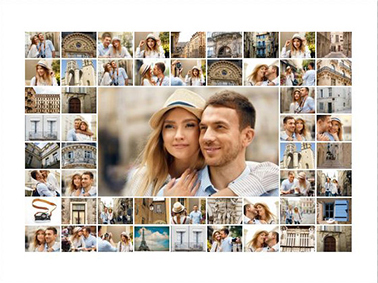 In order to create a large photo collage, you’ll need one thing in particular: lots of photos. 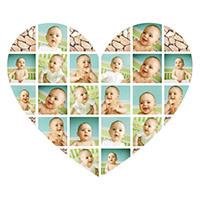 Our large collage maker offers space for up to 100 photos. To transfer this number of images in a reasonable time frame in the Internet, a fast Internet connection is an advantage. Once the photos have been uploaded into the large collage maker, making your collage is simple. 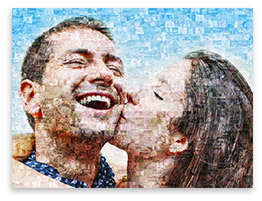 Your photo collage will be created automatically for you by our large collage maker once the photos have been uploaded. This saves an enormous amount of time. Creating such large photo collages usually involves huge investments of time. If you are planning to add 100 photos to a collage by hand, you should plan in hours rather than minutes. But our large collage maker can take care of the work for you in just seconds. This is especially useful when creating wedding collages and anniversary collages. Tip: How many photos do you want to use? 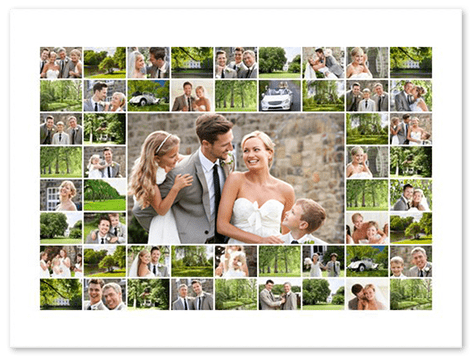 We offer templates for up to 100 photos. Tip: Want to print a photo collage in XXL format? We can print for you up to 160 x120 cm. 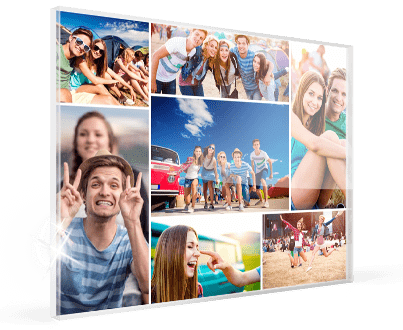 If you have already made a large photo collage, you’ll know that the small pictures can really only be seen if you print in large format. There’s a simple rule of thumb: The greater the number of photos in the collage, the larger it should be printed. 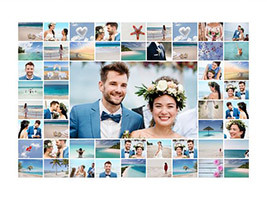 We recommend canvas as a medium for printing large photo collages. If you want to save money, you can also have even very large photo collages printed on poster paper. You should allow several days for delivery. Select all the photos that you want to use in your photo collage. (The more pictures the better) Then transfer the images into your template. 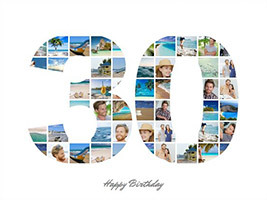 Before printing, the photos can be rearranged on the template and edited and cropped online. This could take several minutes if you are using many photos.